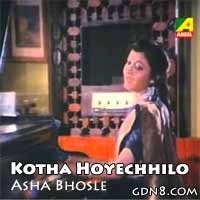 Kotha Hoyechilo Lyrics From Bengali Movie Troyee. This Song Sung By Asha Bhosle. Music Composed by Rahul Deb Burman.